Young Chinese skaters are determined to pull off breakthroughs in the 2022 Winter Olympics. Zhang Shuai is keen to keep a low profile despite being in the spotlight after a fairytale run to the quarterfinals at the Australian Open. Taking a break from the ring has mellowed Zou Shiming and changed his outlook of life. Zhang Shuai said her fairytale run was as good as winning the title despite losing in the Australian Open quarterfinals. Eight years of grand slam failure fuelled a rage that fired Zhang Shuai's breakthrough at this year's Australian Open. 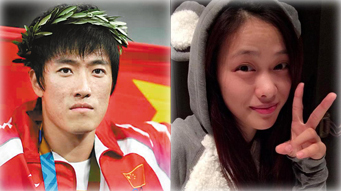 Olympic champion Liu Xiang, one of the best known athletes in China, announced a new relationship in Beijing on Saturday, six months after his divorce. The appointment of former Olympic table tennis champion Deng Yaping as an adjunct professor was confirmed on Sunday amid controversy. Grand Slam champion Li Na has embraced many new roles, one by one, in her personal life－including new mother. With Jurgen Klopp's arrival at Liverpool, the Premier League has acquired another larger-than-life personality to add to the A-list cast of characters who occupy the dug-outs at England's elite clubs. NBA commissioner Adam Silver said unearthing the next Yao Ming shouldn't be left to chance.